“By increasing our use of solar power, San Francisco is once again leading the nation in the fight against climate change and the reduction of our reliance on fossil fuels,” says Scott Wiener. San Francisco is not new to legislations that deal with solar power. The new bill is an extension of the current state law – California’s Title 24 Energy Standards – which states that all new residential and commercial buildings of 10 floors or less should be “solar-ready”. This implies that at least 15% of roof space should be free of shading and obstructions, and thus be available for solar installation. The new legislation simply takes the “ready” out of the “solar-ready” part of the equation. Effective in 2017, 15% of roof space on all new commercial and residential buildings will need to be functioning on solar energy with the installation of solar photovoltaic units or electricity-generating panels, such as solar water panels. Due to climate changes and global warming, San Francisco is especially motivated to turn to renewable energy sources that don’t rely on carbon emission. Located on the coast, and on the tip of a peninsula, San Francisco is particularly susceptible to rising sea levels. The emission of greenhouse gases plays a major role in the increase of worldwide temperature, which in turn is melting Earth’s polar ice caps and forcing sea levels to go up. Projections made by the National Research Council in conjunction with the Sea Level Rise Action plan indicate that sea levels will rise by 66 inches by the year 2100. According to Risk Management Solutions, this corresponds to an estimated $55 billion of private and public sector property in coastal areas. This is the low-end estimate; a worse case scenario could push sea levels up to 108 inches, washing away another $22 billion of property by the end of the century. These alarming numbers have pushed the mayor of San Francisco to invest another $8 million over the next two years to prevent flooding in the downtown district– specifically by focusing on fortifying the city’s seawall. Partnering with 100 Resilient Cities has inspired Risk Management Solutions to commit to helping cities around the world that are also in danger of suffering indirectly from the lack of renewable energy implementation. Even today, San Francisco is already seeing the results of carbon dioxide emission with dangerous sea levels that have caused erosion, damaged the city’s infrastructure during violent tides and already created major problems in the sewer system. It’s no wonder San Francisco is becoming more concerned with global warming and turning to green energy. The city’s mayor at the time, Gavin Newsom, announced in December 2010 that San Francisco would be 100% dependent on renewable energy by the year 2020. VanderMarck is certainly right in categorizing the destructive nature of climate change as a global issue: 195 countries around the world signed the Paris Agreement in December 2015 at the Paris climate conference (COP21). Historically, this is the first legally binding international climate agreement that unites nations into making ambitious efforts to fight global warming and assist developing countries in need of support. Additionally, the agreement intends to fortify the ability of countries to withstand the effects of global warming. Achieving these impressive objectives requires the implementation of a new technology framework, a building framework with improved capacity, as well as adequate financial flows. The Paris agreement will enter in 2020 and puts forth a solid plan to limit global warming to below 2°C. Ideally, this number should drop to 1.5°C, as this would significantly reduce the impact of climate change. Why 2°C? Scientific research shows that any temperature increase beyond this would unleash consequences similar (but perhaps not quite as bad) to the ten plagues of Egypt. Along with inundation due to drastically rising sea levels, famine, extreme flooding, widespread shortages of water and frequent catastrophic storms are projected to occur should we fail to meet the goals of the Paris agreement. The 196 nations that have signed the document are fully committed to minimizing carbon emission and will keep reporting their national progress. However, the 2°C temperature increase maximum and its equivalent reduction in carbon emission cannot be fully controlled at a national level. At least one third of carbon emission is in the hands of cities and local governments. This brings us back to San Francisco, and its new legislation to require the installation of solar panels on new buildings. Unsurprisingly, the new law has the support of the San Francisco Commission on the Environment, the U.S. Green Buildings Council, the Building Inspection Commission, and Brightline Defense, a non-profit foundation that encourages the creation of sustainable environments communities of low-income. Brightline Defense was also a supporter of GoSolarSF, a city program that helped businesses and homeowners install thousands of kilowatts of solar energy in order to reduce their electricity bills and contribute to the reduction of carbon dioxide release. 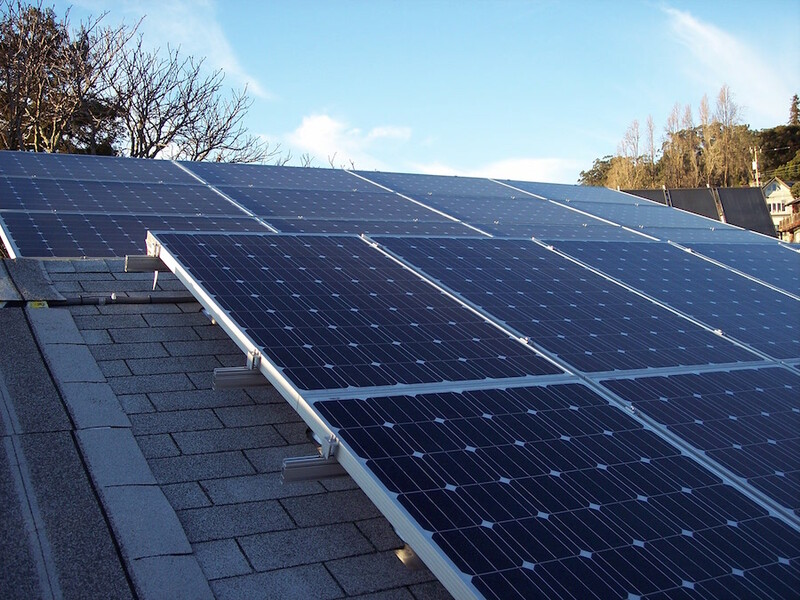 To help San Francisco achieve its goals of meeting 100% of its electricity demand through green energy, the Department of the Environment and the Environment Commission are in the process of creating programs that satisfy this policy, including promoting the use of solar energy. San Francisco is far from being not alone. The Paris climate conference carried on with multiple sessions resolving around the crucial participation of cities and local governments– without which limiting global warming to below 2°C cannot be accomplished. The conference ended with the commitment of over 7,000 cities (which add up to a fifth of the world’s population) to cut down on carbon dioxide emission through local initiatives. “Everyone knows subnationals have moved faster than governments,” former U.S. Vice President Al Gore pointed out at the climate conference. Al Gore is right: for the first time, 196 nations agree that cities and communities (also called “subnational actors” by the United Nations) will need to step into the shoes of the leading cast, as opposed to being supporting actors. Jerry Brown, former Oakland mayor and the governor of California, agrees: “Acting on climate change is not just about a treaty, it is about all of us: cities, regions, subnationals,” he says. Both Gore and Brown support the roadmap that the United Nations has set forth for cities to follow– the Lima Paris Action Agenda (LPPA). In regards to the role of cities in the Paris agreement, the LPPA has four main goals: 1) increase the number of communities that are implementing action plans, such as the new San Francisco legislation regarding solar panels; 2) helping areas vulnerable to rising sea levels become more resilient to the possible consequences; 3) augment financial resources available for cities to take positive action regarding global warming while supporting the use of state-of-the-art economic tools; and 4) encourage the cooperation of multiple parties between national and local governments. Requiring solar energy to be implemented in new buildings is new in the United States, but not around the world. For instance, the Municipal Corporation of Gurgaon in India has been trying to require the mandatory incorporation of solar panels into all building plans. While the motivations in this case are more geared towards finding a long-term solution to Gurgaon’s power crisis, the goals of reducing carbon dioxide emission would still be met. While the rest of the U.S. has yet to catch up to California, the benefits of solar power are already recognized nationally. Going back to the Sunshine State, Florida law makes it illegal to prohibit the installation of any renewable energy devices on any buildings, including solar panels. While homeowner associations may still put in their two cents when it comes to the installation of renewable energy devices, all restrictions need to be “reasonable”: they can’t impair the proper functioning of the solar system or increase its costs. So if you’re told to make sure your “apparatus” remains hidden, or positioned at an extremely inefficient angle, you have no obligation whatsoever to follow these instructions. Let’s not forget that the uses of solar energy are now going well beyond solar panel installation with innovative applications, such as solar planes, gadgets, solar-powered garments and transparent solar panels that can be used as windows. Hopefully California is but a start, and other states will soon follow its lead, along with every region and city around the world that will begin enforcing the need to install solar panels. After all, the future of our planet depends on it.